Raleigh attorney Donna R. Rutala, of the law firm Young Moore and Henderson, P.A., has been selected as a Fellow of the Litigation Counsel of America. Donna practices in the areas of medical malpractice defense litigation and health law where she represents hospitals, physicians, and other health care providers. 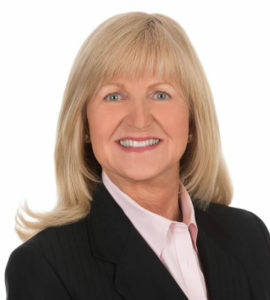 She has trial experience in both the federal and state courts of North Carolina and has appeared before various administrative tribunals including the North Carolina Medical Board, North Carolina Board of Nursing, the North Carolina Board of Pharmacy, the Employment Security Commission, and the Equal Employment Opportunity Commission. Donna graduated with a B.S.N. from the University of North Carolina at Chapel Hill and worked as a risk/claims manager for UNC Hospitals while earning her Juris Doctor degree in the evenings from North Carolina Central University School of Law. Her unique combination of experience in the health care setting has enabled her to provide an in-depth understanding of multiple problems faced by the health care industry.